CZECH SATIN METALLIC CLAY TOP DRILLED ROUND BEADS. 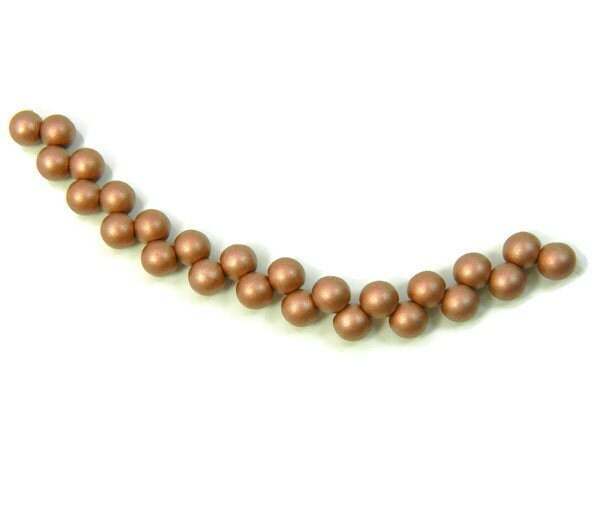 These beads feature a rounded shape with a top drilled hole. On the same idea of a top drilled tear drop, but in a 6mm round. This bead is a light terra cotta, clay color with a soft metallic sheen. They are available by the strand and there are approximately 25 beads per strand.